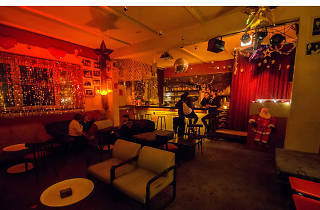 Local legend Nina Queer runs ‘Zum Schmutzigen Hobby’ as part of her sprawling Berlin empire and a trashy, schlocky-fabulous place it is too, where an up-for-it crowd congregate nightly for hi jinks and low-down boogie. You’ll find the cream of the Berli queer scene here, as well as the occasional international celeb slumming it in style – Rupert Everett and uh, Tara Reid have all been spotted here. 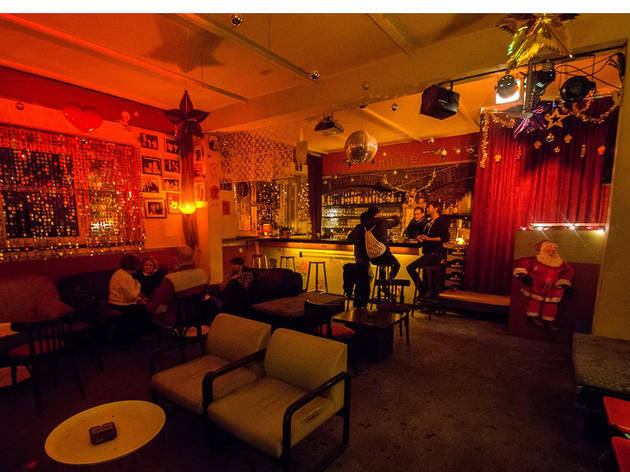 It’s in Friedrichshain on Revaler Strasse and whilst perhaps a little alarming at first, offers a very friendly, easygoing atmosphere for trannies, gays, lost tourists and local bohos and hipsters. Get down for a wild night out – but this being Berlin, Sunday nights are devoted to screenings of national crime serial ‘Tatort’.